Georgetown's Berkley Center for Religion, Peace, and World Affairs and Georgetown University Medical Center convened global health experts and direct health care providers representing religious organizations for a two-day workshop at Pontifical Gregorian University in Rome to address the spread of antimicrobial resistance. 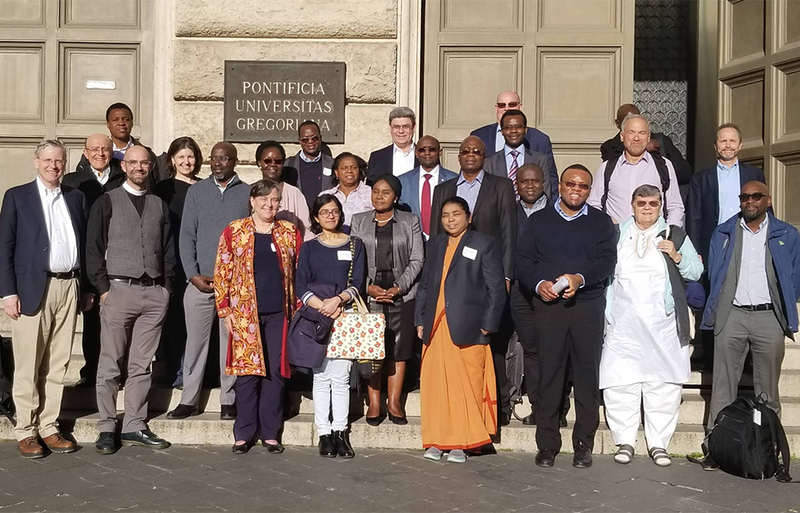 (April 12, 2019) — Religious communities have a potentially vital role to play in thwarting the spread of antimicrobial resistance (AMR), a “hidden” and yet looming global health crisis, according to organizers of a recent workshop in Rome sponsored by Georgetown University. 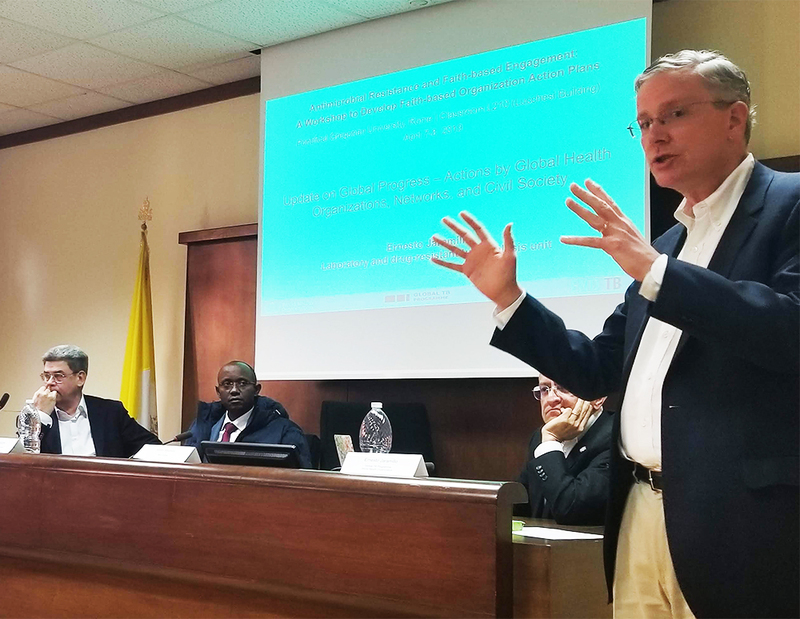 The two-day event, which took place April 7 and 8 at Pontifical Gregorian University, aimed to build on a previous meeting in December 2016 co-hosted by Georgetown’s Berkley Center for Religion, Peace, and World Affairs, the U.S. Department of State, and Caritas International. The first event, which yielded a report and accompanying call to action around faith engagement on AMR, convened global health experts and direct health care providers representing religious organizations. Jesse Goodman, MD, MPH, a Georgetown expert in infectious disease, helped coordinate the AMR workshop. This time, organizers from the Berkley Center and Georgetown University Medical Center (GUMC) aimed to take the work to the next level. Beyond underscoring the urgency of the topic, this workshop spotlighted the experiences of faith-based or faith-inspired organizations that have been working since the 2016 meeting to build awareness and political will around AMR in countries where the need is greatest. It also identified priority areas for intervention, and discussed what would be involved in establishing a potential platform for future collaboration and information-sharing. Faith-inspired organizations of many kinds are well-placed to be formidable allies in the fight against AMR, said Jesse Goodman, MD, MPH, professor of medicine and director of the Center on Medical Product Access, Safety and Stewardship (COMPASS) at GUMC. The Catholic Church is the largest nongovernmental provider of medical services in the world. While the majority of providers that took part in the workshop represented Catholic and other Christian organizations, the organizers see a continuing opportunity to broaden engagement and collaboration with other faiths. By looking at the AMR challenge through a faith lens, this initiative seeks to meet providers, patients and communities where they are, in the conditions in which they work. In this way, the AMR response reflects the diverse challenges and opportunities that providers and organizations face, especially in resource-constrained settings. 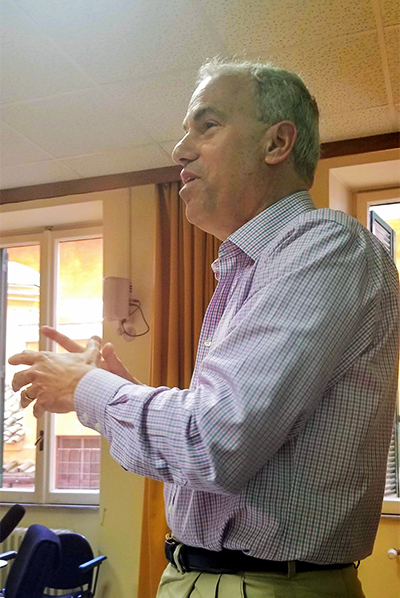 Goodman helped coordinate the workshop along with colleagues from the Berkley Center, which sponsored both meetings with support from the GHR Foundation. He said engaging faith communities represents an exciting and necessary expansion of the stakeholders who are taking up this issue. “There are a lot of meetings about AMR, and a lot of groups looking at this problem. What this partnership aims to do that is unique is to bridge awareness-building and science to practice — and asking this of people who are already working very hard providing care under challenging conditions, but who know better than anyone what is needed and what can work,” he said. AMR occurs when microorganisms evolve to resist a treatment, rendering once easily treatable infections life threatening as drugs become ineffective. 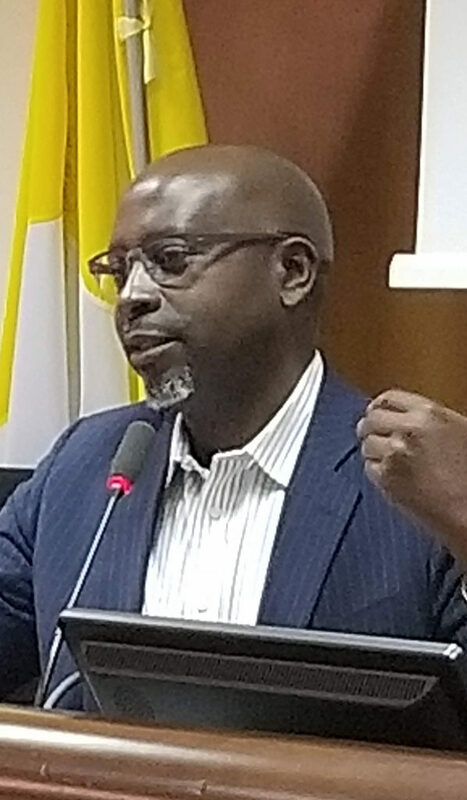 Georgetown’s Deus Bazira, who has decades of experience working to strengthen health systems in developing countries, participated in the workshop. While AMR increasingly is grabbing headlines, it is still a gradually worsening and hidden problem in terms of day-to-day public awareness. While right now most infections can be treated with available medicines, the risk of very-difficult-to-treat or untreatable infections is growing. Once such infections become routine, it will be too late to act. Even now, most people who get sick or die from a resistant infection, particularly in less-resourced settings, do not know if a resistant infection caused their sickness. Additionally, much of the world’s population does not understand how antibiotics have contributed to this issue, in that they are so often overprescribed, misused or poorly regulated, according to Deus Bazira, DrPH, MPH, MBA, BPharm, who also participated in the workshop. Bazira, who has decades of experience working to strengthen health systems in developing countries, recently joined Georgetown to co-lead the new Center for Global Health Practice and Impact (CGHPI). For these reasons and more, AMR has not attracted the same global or national attention as other pressing health issues. Faith communities can be a gamechanger in this respect, Bazira noted. “This is one of the most important stakeholders we need to pay attention to because in many countries — including the U.S. — faith-inspired or faith-based health systems play a huge role in health delivery. So if the faith community as a whole decided to address this issue, they could really help bring the whole world along,” he said. Beyond having the power to influence how care is delivered — namely implementing protocols to better prevent and control infection and regulating how antibiotics are handled — faith communities hold great sway at the community level, where behavioral and cultural change starts. In addition, faith communities can serve as advocates and strategic partners to governments to ensure the strongest policies are put in place and that health systems promote better antibiotic use. Still, she said, the issue is complicated because the AMR has “many tentacles into other sectors,” such as water supply and sanitation, agriculture, and education. John Monahan, senior advisor for global health to Georgetown President John J. DeGioia, spoke at the workshop. John Monahan, senior advisor for global health to Georgetown President John J. DeGioia and a workshop participant, agreed that complex issues such as AMR demand complex solutions, which is why a university such as Georgetown, with its multidisciplinary strengths in medicine, law and policy, is well-situated to join with partners to convene these discussions. “AMR by its nature is an issue where we have to engage a wide range of people — from the community level to policymakers. Everybody has something they have to do, and it’s too big for anyone alone,” Monahan said. For Goodman, the complexity of AMR has parallels in climate change. Also similar to climate change, there is a moral imperative to act, he added.